Loans can come with some confusing, complex language, which can be scary when you aren’t entirely sure of the risks involved, but they are often necessary for achieving certain life goals when you don’t have enough money in the bank. If you have been looking for loans to pay for projects or business ventures, you have probably stumbled on the option of private money lending. Private money loans refer to loans that do not come from a bank or traditional financial institution. While they can present some new and different aspects compared to the traditional bank loan, private loans are, depending on your needs, more efficient. The hard part of private loans is finding a private money lender that will work with your personal and financial needs. Let’s take a closer look at how you can find the right private money lender. So, what exactly is private money lending? Private money loans are short-term loans usually reserved for the purchase of property. Where traditional bank loans mainly consider your credit-worthiness through your credit score, income, and financial history, private money lending is much looser and usually secured based on a note or deed of trust. In other words, most private money lenders put more thought into the property and its potential value instead of your credit. Why Use a Private Money Loan? The main advantage to private money lending is the speed and efficiency with which you can receive your funds. Traditional bank loans can take up to a month and a half just to gain approval. That process takes even longer if you have any bad marks on your financial records. As most private money lenders only care about the property, there is just much less paperwork involved, making the overall process much faster. You can get approved within mere minutes and have your funds in the same week. This is especially beneficial in competitive situations where you have to make timely bids on a property. Private money lending is often considered more relationship-based than traditional loans and mortgages. It involves actually connecting with others instead of submitting your credentials to a bank and hoping for the best. There are three circles of private lenders, which you can think of as degrees of separation. However, despite the ease and comfort of your primary circle, it comes with some drawbacks. For one, your primary circle tends to have the least amount of capital compared to your other circles. While you should by all means get as much money as your friends and family can offer you, consider this your initial fund that can help you get started and eventually lock in greater finances from your other circles. Furthermore, you may end up ruining these close relationships if your real estate investment goes south. It’s a good idea to educate yourself and inform your primary circle of any risks they may face if things do not work out. You can think of your secondary circle as your friends of friends. These are people you may have heard about from members of your primary circle, or they may be completely new to you. This circle offers a larger capital pool than the primary circle, and your secondary circle is likely to listen to you as you have a mutual contact. However, you will need to spend more time networking and prepare an investment presentation. Remember that more information often means more trust and a closer relationship. Your third-party circle consists of accredited investors, private loan companies, and hard money lenders. This circle offers the largest capital pool, as well as most standardized interest rates, fees, and loan terms. You will also have to spend more time and work getting that capital. Most people talking about private money lending are often actually referring to hard money lenders. Hard money loans are short-term bridge loans (they “bridge the gap” when you don’t have finances) wherein the borrower offers the property itself as the main form of collateral. The amount of the loan offered is based directly on the value of the subject property rather than the borrower’s credit. Granted, hard money lenders and other individuals in your third-party circle will still require your credit score and other financial information. The good thing about private money lenders is that they do not have to be professionals. You just need to find people who have money and want a decent return on an investment. You can also work with more than one investor to accrue more money. You probably don’t need help finding friends and family members and the people they are connected to, but finding hard money lenders can be difficult. Often the best place to start is with existing real estate networks. Talk to local real estate professionals and mortgage brokers for any information on hard money lenders and accredited investors. Trying to determine what makes a hard money lender “good” is difficult considering the sheer diversity of private money lenders in the business and your own personal and financial needs. Here are some things to keep in mind during your search for a private money lender. Most hard money lenders and professional investors will state how many years they have been in business and the number of loans they have issued either on their website or in person. You generally want a lender who has executed at least 100 deals. Some hard money lenders will even provide information about how much capital they actually have available, which is information worth noting and a good sign of that company’s experience. Many hard money lenders specialize in specific property types that they are most comfortable with. For example, a hard money lender may only specialize in land loans, which means they will not be able to help you with residential or business properties. Ask upfront about the types of real estate they can cover. Many hard money lenders also tend to stay away from owner-occupied residential properties, which have become more heavily regulated under Dodd-Frank, but you may find a lender willing to deal with the extra paperwork to help you. The interest rates and costs associated with a private money loan can vary widely from lender to lender. Interest rates are usually between 7 and 12 percent with lenders fees up to 10 percent. However, some hard money lenders may have interest rates up to 20 percent. Some private lenders also have prepayment penalties based on a percentage of the loan balance upon early payment. Other companies will ask that you pay off all of the interest payments for early repayment. Try to find a lender who does not have penalties for prepayment. Aside from making things harder for you, prepayment penalties narrow down repayment options. 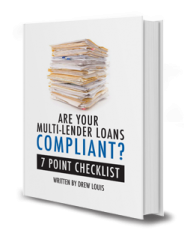 The sheer diversity of lenders and the lack of government regulations for private money lending often mean that requirements will differ based on the lender. Close friends and family will probably give you the money as long as you provide a simple proposal. Members of your secondary circles may require a note or deed of trust along with a clear investment plan. Hard money lenders and other private lending companies will require a proof of identity, a note or deed of trust, and a plan that outlines exactly how you plan to spend the money and the profits you expect to make at the end of the project. Private lenders may also ask about your credit score and financial history. Your credit won’t make or break a deal, but a lower credit score can potentially lead to higher interest rates. The lender may also require a down payment for the loan. The general process of applying for a hard money loan is roughly the same between lenders. You can expect the application process to comprise two separate phases: pre-qualification and funding. Pre-qualification can take just a few minutes and acts as a quick approval process that allows you to look at the loan options available, compare offers, and assess your finances. Once you have seen the potential loan amount, fees, and terms, you can determine your maximum budget and proceed to the initial purchase agreement. During pre-qualification, the lender can also provide you with a preapproval letter, which you can present to the seller as an offer on the property. The preapproval letter designates that you are qualified and can afford the property. The lender also evaluates your finances and the property itself, including its condition, location, and after repair value. Once the lender has gone over all your documentation, they will approve your offer and issue the funds. Del Toro Loan Servicing offers premier services for private lending professionals. 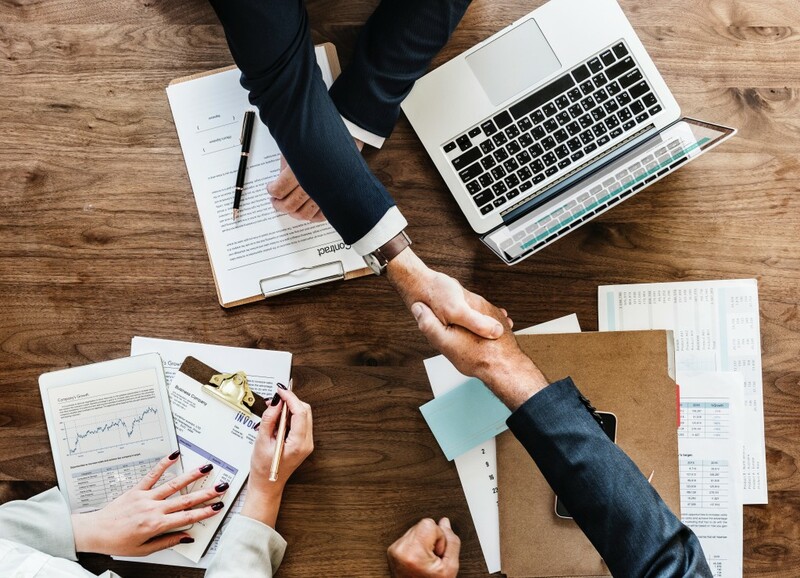 From basic loan servicing and documentation to an expansive network of professional brokers, we can help you with all of your private lending needs. Contact us today to learn more.